The “half hour to Health” workshop is free and open to both new and established patients. Feel free to bring a friend or family member. 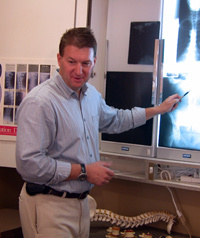 You will learn how to get better and stay better through natural chiropractic care! Please join us for any of the complimentary workshops. All classes are held in our office at 5:15 P.M. on the first and third Tuesday of the month. * We offer a wide variety of regular health-related seminars both at our clinic and within the Catawba community. If you would like to book a health seminar at your workplace or community event please contact us so that we can tailor a program to meet your individual needs.